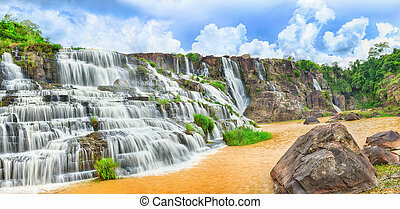 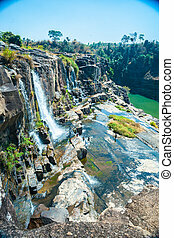 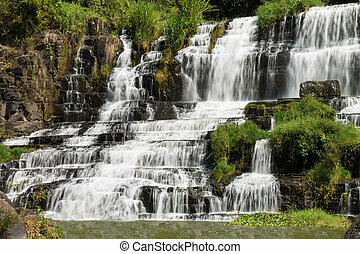 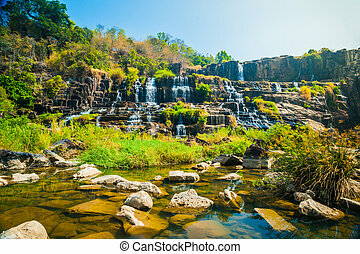 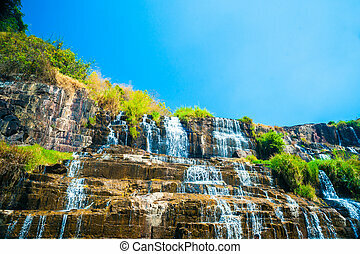 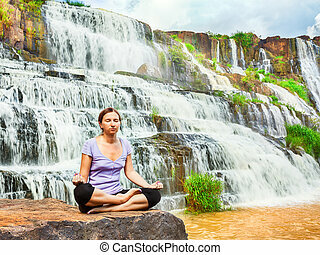 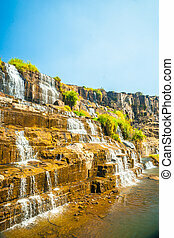 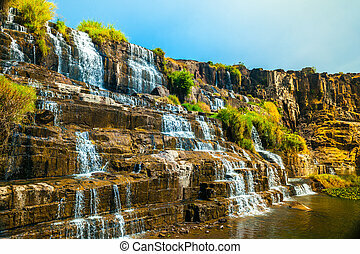 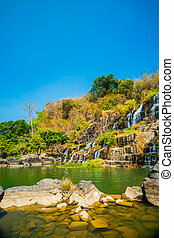 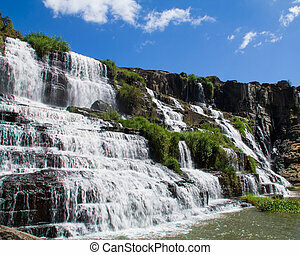 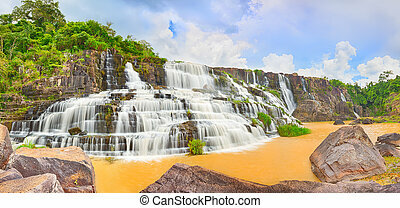 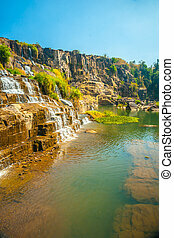 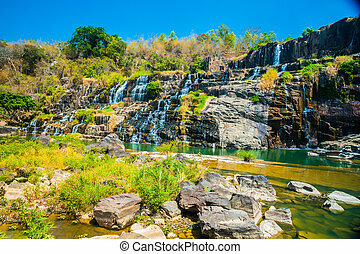 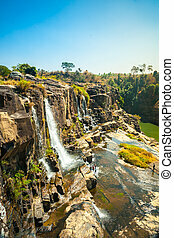 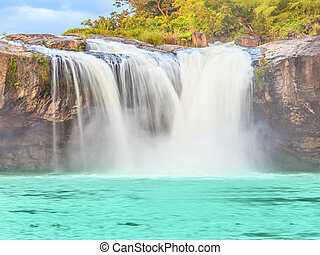 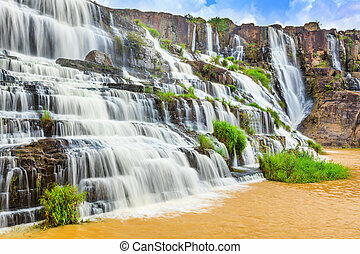 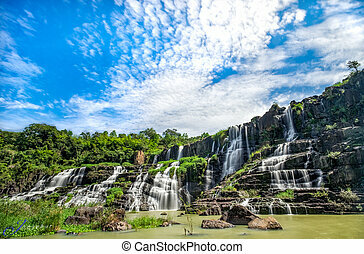 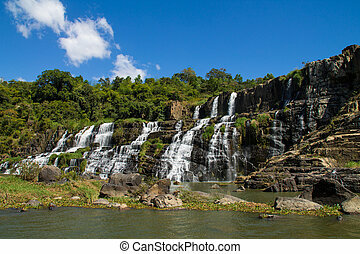 Beautiful pongour waterfall in vietnam. 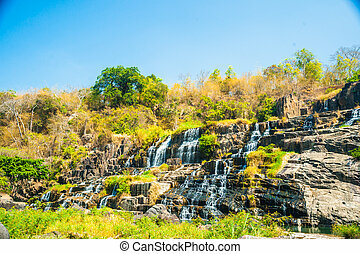 panorama. 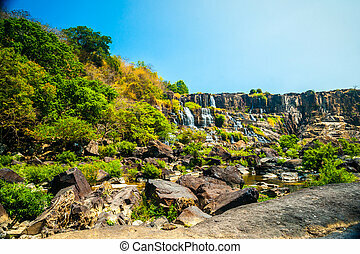 LAM DONG, VIET NAM November 9 2015. 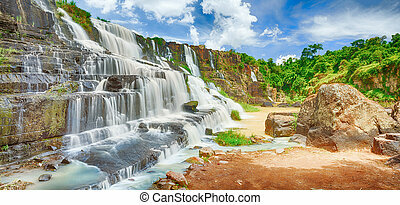 Beautiful Pongour waterfall in Vietnam.